“God’s grace is abundant,” said the refugee pastor. His answer to the Refuge and Hope International team’s question was baffling. 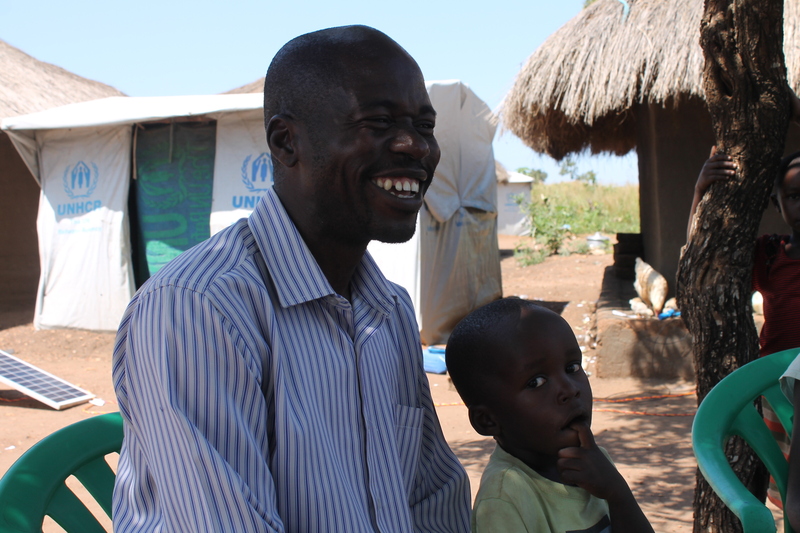 As the head of a 21-member household and pastor of a small, South Sudanese congregation in Bidi Bidi, Uganda, the largest refugee settlement in the world, Jeremy* faces many challenges. However, when asked how he makes ends meet, he joyfully proclaimed that the Lord’s provision is ample. He was trained as a professional chef and started taking Bible classes at the Bible school he catered at. He and his wife fled their war-torn country last year, bringing their eight biological children and 11 adopted children with them. Jeremy was interrogated by officials on the way. They asked if he was taking the children to train them as child soldiers, a sad but common reality in South Sudan. When they arrived in Northern Uganda last summer the family started meeting under a tree nearby their home on Sundays for worship. They sang and shared. Others joined. The fellowship has grown to around 300 attendees. A women’s ministry and youth group have formed as well. Life is safer in Bidi Bidi, but not necessarily easier. Hardships of the past and present haunt the minds of many. “Without prayer, talking to people, and encouraging them, we feel the mind will get worse,” Jeremy commented. Psycho-social support is interwoven in OPM services, but there are no independent psychological services in the settlement. Refugees have started their own faith communities, which have become social networks of support. In Zone 1, the first of five zones in Bidi Bidi, an interdenominational committee of 20 different churches gathers. Jeremy’s church is part of this co-op. Despite this support group, there are limited faith resources within the settlement. Jeremy noted that the biggest need they have is access to Bibles. Although Jeremy and his family live in abject poverty, the joy of the Lord is evident in his life. **all statistical information is from Refuge and Hope International’s primary research of the settlement on Nov. 15. Personal interviews with OPM officials, medical personnel, refugees, and a school headmaster were conducted. Jaclyn Bonner is serving as an intern at Refuge and Hope International in Uganda.